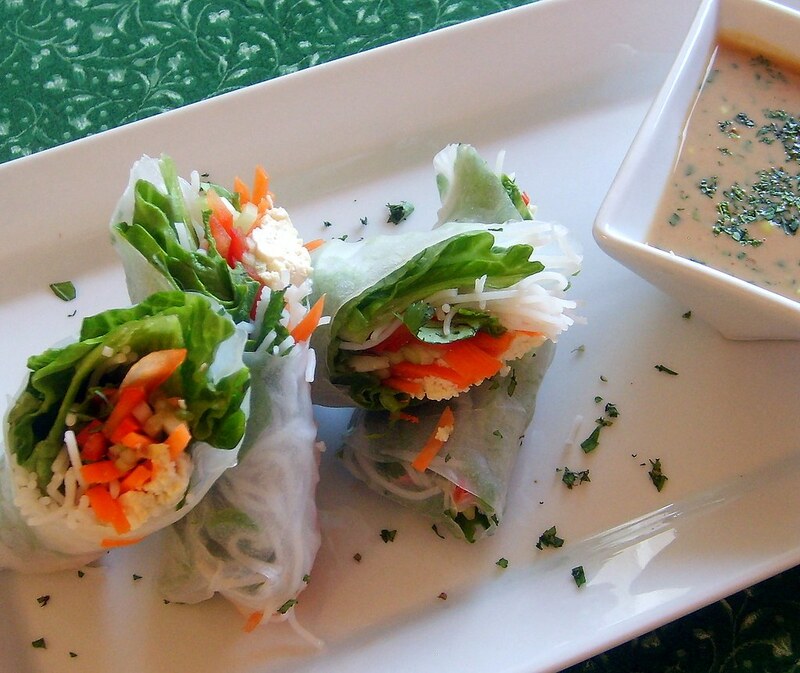 I love making Vietnamese Summer Rolls. They're just so fresh and I love the texture of the soft rice paper with the crunchy vegetables. The hardest thing about making these rolls is slicing all the vegetables matchstick thin and working with the rice paper. 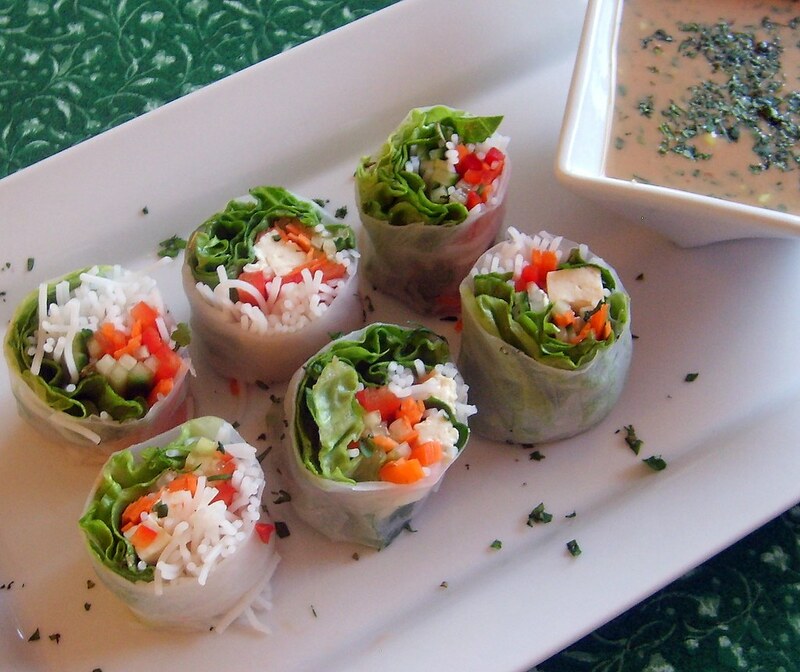 But with a little patience and practice with rolling you can make a bunch of these in no time. In a small sauce pan heat peanut butter, vegetable stock and coconut milk until smooth. Pour into a bowl and stir in all other ingredients, reserving a little cilantro for garnish. Chill or keep at room temperature until ready to use. Cover vermicelli rice noodles with boiling water and let sit until soft, about 15 minutes, drain and set aside. Prep all vegetables and tofu and set aside. Bring 8 cups water to a simmer and pour into a large bowl. Have a sheet tray and damp dish towel ready. Working with one rice paper at a time, dip into hot water for about five seconds, lay on a flat surface and pat dry with a dish towel. Place lettuce slices close to the bottom of the circle, add a small amount of rice noodles, vegetables and tofu and top with fresh herbs. Be careful not to over stuff. Roll up tightly, like a burrito and place on the sheet tray and cover immediately with the damp dish towel to keep from drying out. Repeat process. I made about 10 rolls--I just kept going until I ran out of veggies. But you could make a lot more depending on how many rice sheets come in the package and how many veggies you prep. Note: It's very important to you use all organic vegetables for these rolls and wash everything really well before prepping.